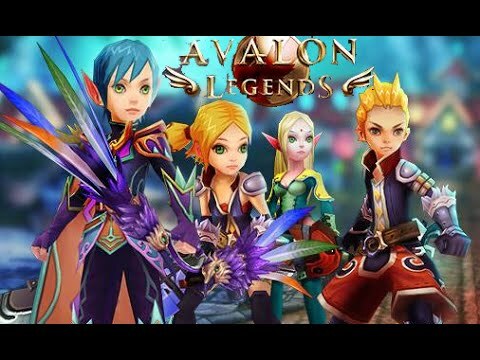 Avalon Legends is a free-to-play mobile online action RPG with tap/gesture controls, anime graphics, a persistent town, pet system, and many stages including co-op party dungeons by Kick9. A fantastic 3D graphics emerging you in this 360 degree world! Control your player with easy gestures, taps and swipes! Choose your adventure with an in-depth storyline containing multiple paths! Face rigorous challenges in over 100 unique dungeons! Next Post: Injustice 3.1: SAFE Account #1 ANDROID ONLY! can you send link avalon legends?? Hey guys. I never played Dragon Nest before so I had no idea this game took resources from DN. I would not have made the video if I knew about this. Thanks for letting me know. agh! another game with reused resources. I tend to cringe so hard whenever i see games using stolen resources, but since you made the video, i'll try to endure it. Here's a new online action RPG that reminds me of Phantom Breakers. Has tap/gesture controls, persistent town with quests, co-op party mode, and a pet system. The pet system is a big feature with many pets to collect which I did not show in the video.. Pretty good graphics and decent gameplay so far. Combat may feel a little simple though.